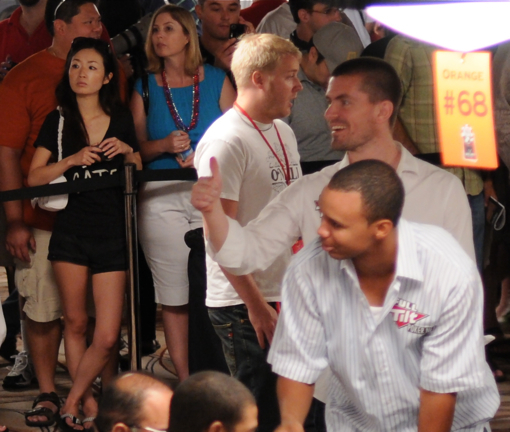 Gus Hansen and Phil Ivey took it in the A in 2013. Back in 2010, right after the peak of the online nosebleed battles, we wrote about how someone needed to hide Gus Hansen‘s computers. 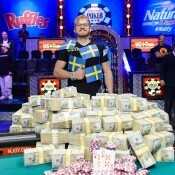 The Great Dane had, at the time, lost nearly $7M playing online. Flash forward over three years later, of which a year and half Hansen didn’t even get to play online, and those losses now equal nearly $15M. Hansen is coming off the worst year online by anyone who didn’t launch Cirque du Soleil, getting crushed for an $8.4M loss. Hansen is a favorite among the pros. Entertaining guy. 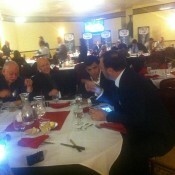 Fun to be around. Ladies love him. Just stop with the online poker already. Just stop. In semi-related news, Phil Ivey posted what many believe to be his first losing year online, dropping $2.4M. That makes him the fourth biggest online loser of the year. Crushing 2013 in every way, shape, and form was Niklas “ragen70” Heinecker. He posted $6.3M in earnings online and $10M total with live results. 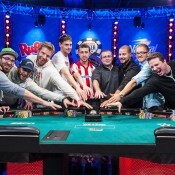 Read more about 2013 online poker results and recaps here.